Item # 311103 Stash Points: 2,795 (?) This is the number of points you get in The Zumiez Stash for purchasing this item. Stash points are redeemable for exclusive rewards only available to Zumiez Stash members. To redeem your points check out the rewards catalog on thestash.zumiez.com. Give your hat rotation a serious splash of pattern in the Petals & Peacocks Checkered Black & White Bucket Hat. 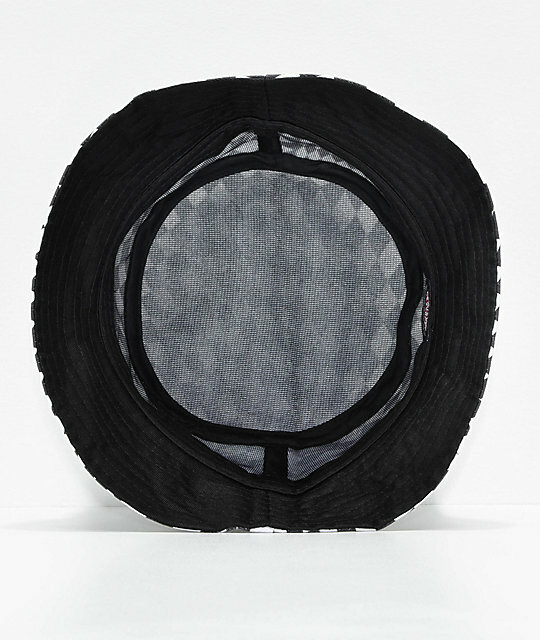 Featured with an allover black and white checkerboard print and a brand patch at the front crown, this hat has a style all-its-own. 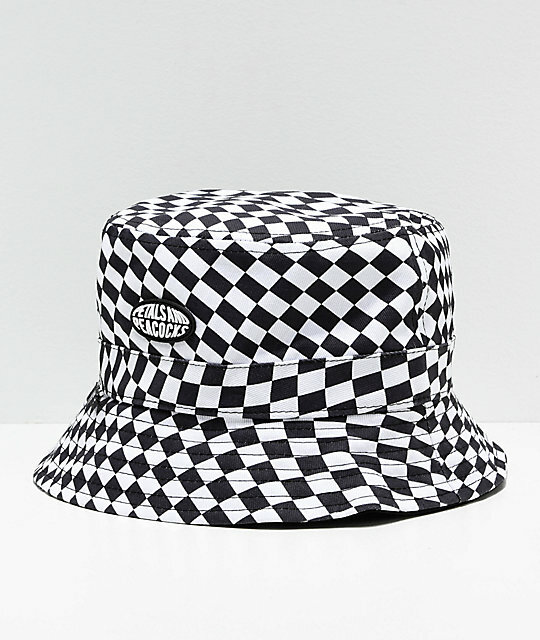 Checkered Black & White Bucket Hat from Petals & Peacocks. Embroidered Petals & Peacocks brand patch at front crown. 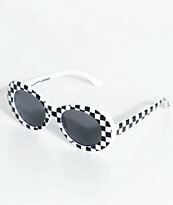 Allover black and white checkerboard print.